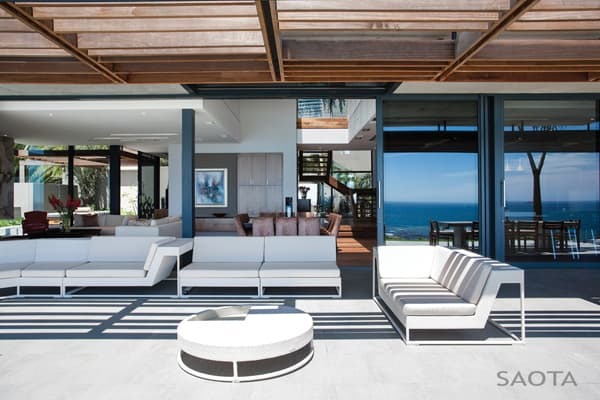 Kloof 151 is a family home with a guest and a ‘work-from-home’ wing spread over two levels, designed by architecture firm , located in Clifton, Cape Town, South Africa. 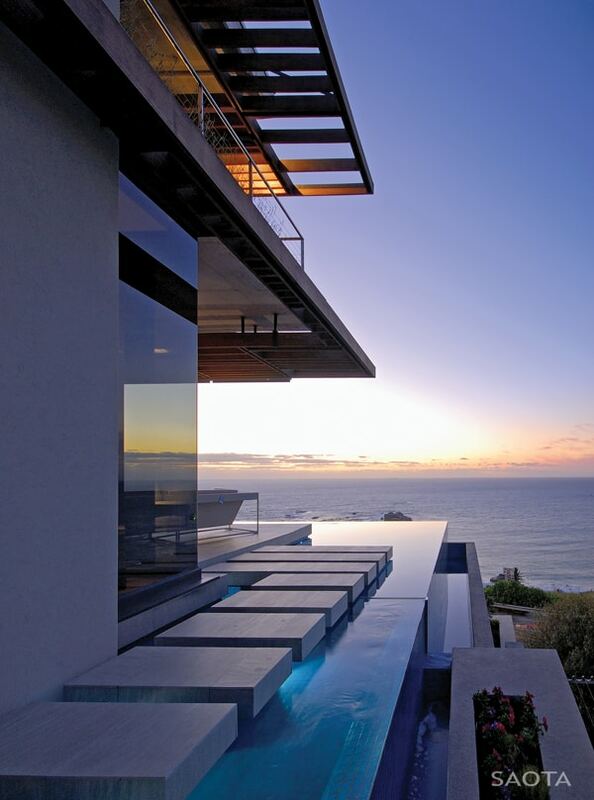 This extravagant three story residence was constructed for the homeowners to enjoy the dramatic views of the Clifton beaches. 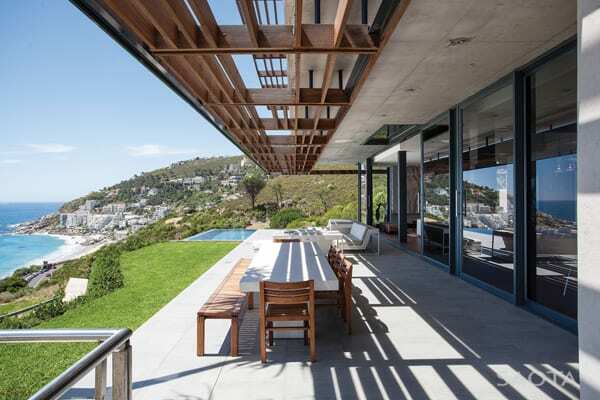 It was also designed to open itself up to the surrounding natural tropical landscape on the slopes of nearby Lion’s Head. 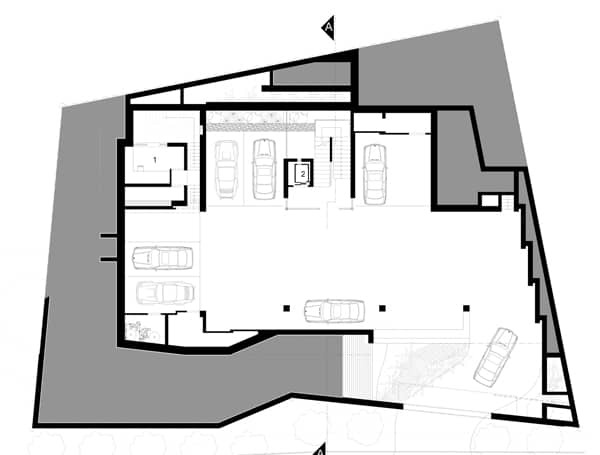 The homes access point is through the basement, which allows plenty of direct sunlight to spill into the interiors, creating a warm entryway. 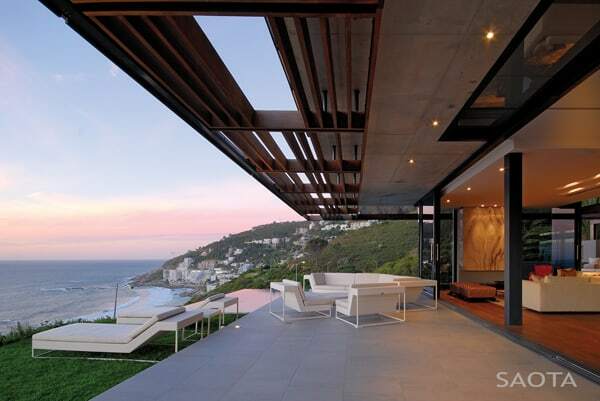 On the ground level is the main living areas, which has an idyllic location with views overlooking Clifton. 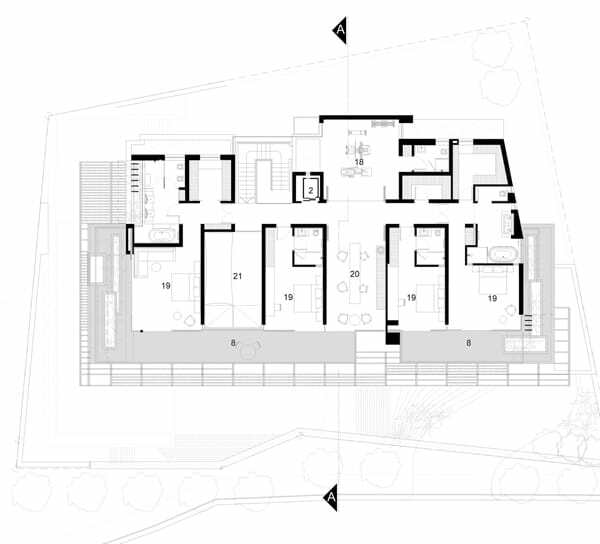 Most of the levels, including the spacious open plan kitchen, opens onto the covered terraces. 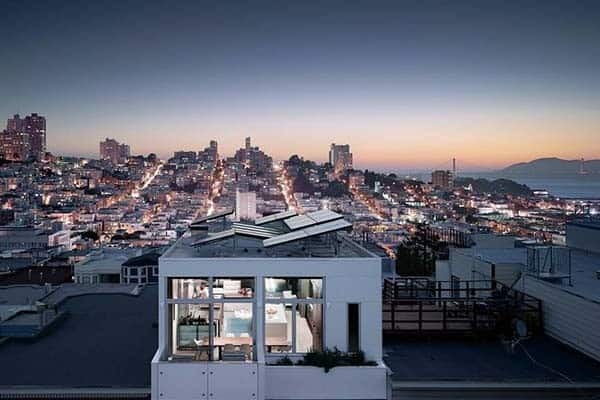 The summertime faces extreme heat, to address this problem, the balconies are cantilevered to protect the interiors from the sun. There are also hardwood screens and motorized vertical fabric blinds that detect when the sun is trying to penetrate the interior spaces. 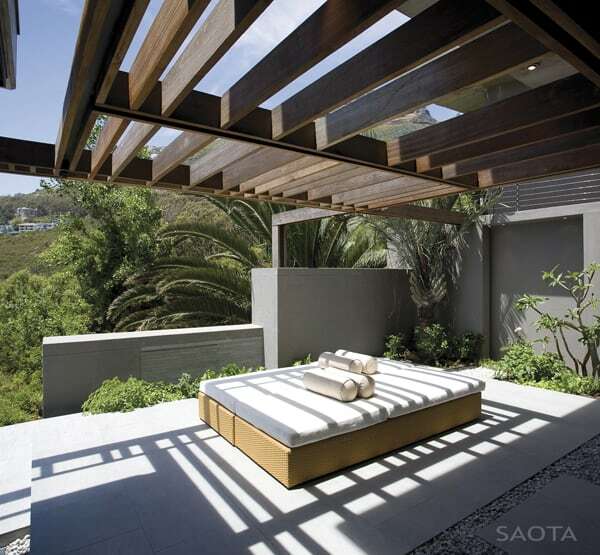 There is also high performance windows throughout that helps to protect the home from the heat all year round. 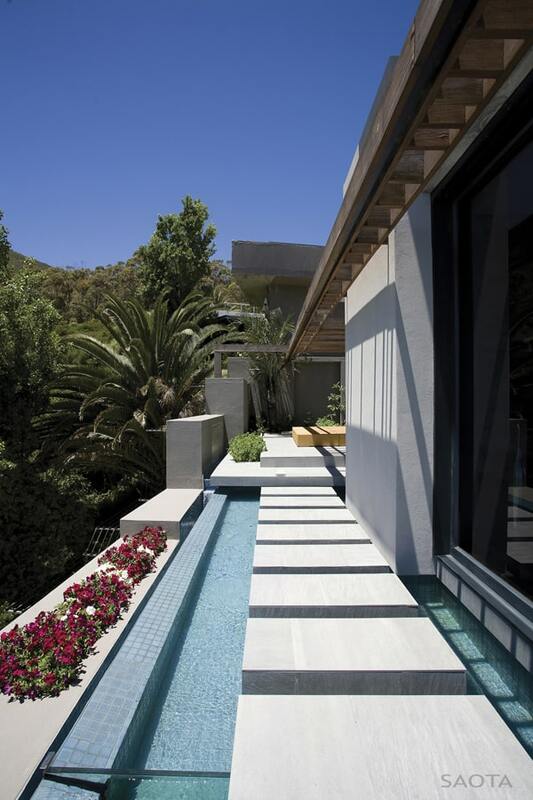 The outdoor terraces are surrounded by lush native landscaping, making the outdoor living environment a beautiful haven of relaxation. 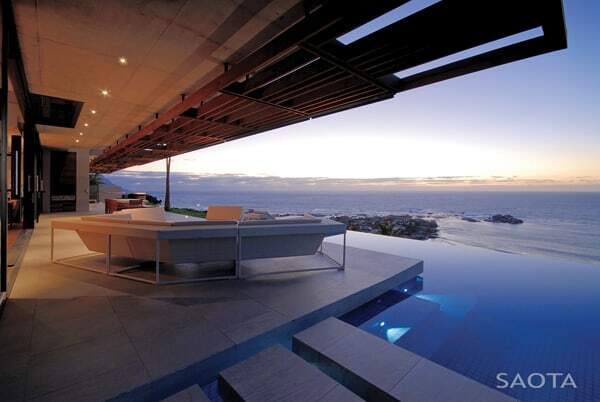 A rim flow pool creates a seamless flow with the ocean. 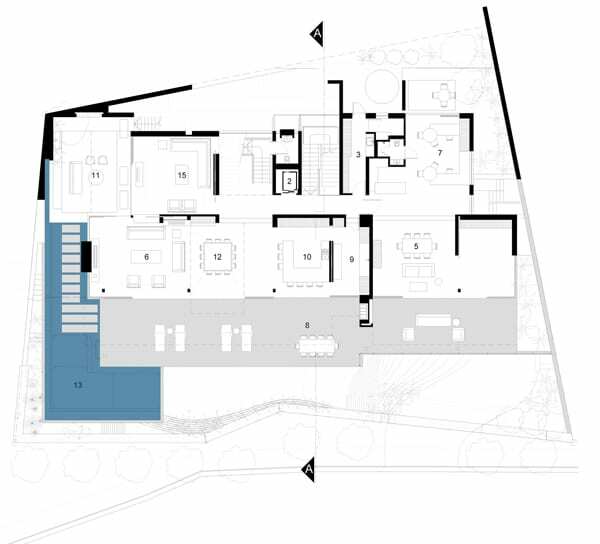 “The ground level is bisected by a double volume to enrich the spatial experience and create a dialogue with the double volume stairwell towards the rear, states the architect. 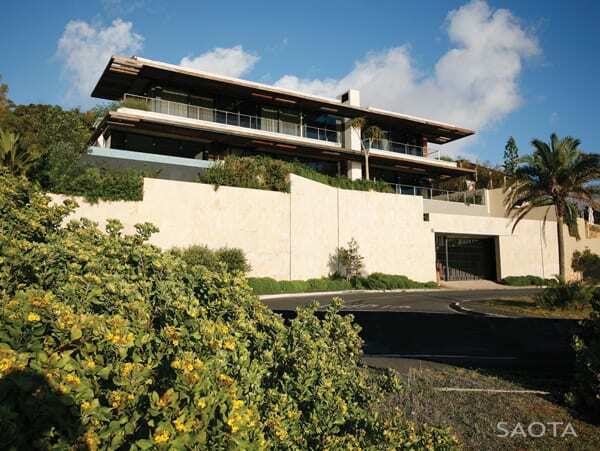 There is an additional lounge space that is more private with an outdoor terrace that looks out onto the lush flora of Table Mountain Nature Reserve. 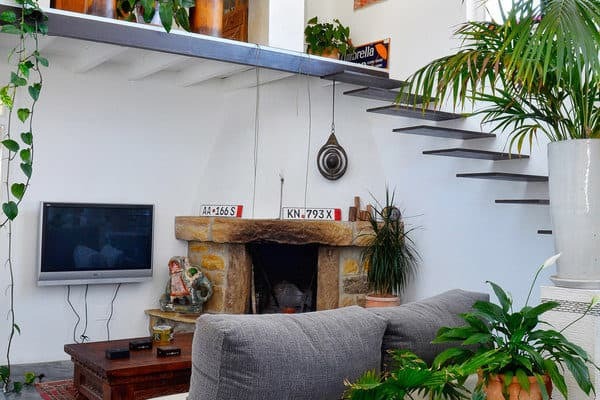 The selected finishes are crisp and clean, with natural materials such as wide plank Walnut flooring, porcelain floor tiles and off-shutter concrete soffits. This also helps the luxury features such as the imported custom kitchen and stone fireplace to contrast nicely with elements that are not as refined. The first level encompasses four spacious bedrooms with en-suite bathrooms, a well-equipped gym and a studio space. 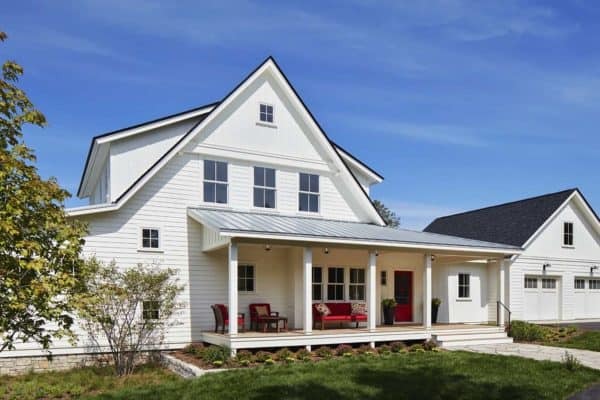 With so many windows in the home to take advantage of the views and natural light, the interior finishes needed to be considered for reducing glare. The palette selected was deep hues and rich finishes. The bedrooms were designed in a lighter palette, with contemporary designer furnishings and fresh fabrics designed for relaxation. 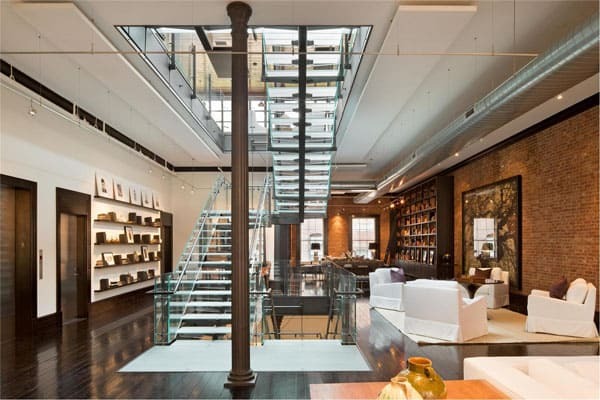 Frameless glass balustrades on the stairwell helps to enhance the feeling of openness and transparency.